To buy or to lease…the answer to that question lies in what your needs, as a driver, are. If, for instance, you are always on the road, and drive over 15,000 miles-per-year, then buying is probably in your best interest. But, if you keep your miles down, and prefer to drive a vehicle that is priced above your means, then leasing is a great option. We’ve created a questionnaire to help you decide what might work best for you. To answer the following questions and get an answer click on To Buy or to Lease? Ultimately, you need to decide if you want to own your vehicle once all is said and done, or if you want a new vehicle every few years. Whatever you decide, Bob Bell Chevrolet of Bel Air is here to help you out. It’s a cool little car… there’s no doubt about that. Over the past few months the 2012 Chevy Sonic has been skydiving, bungee jumping & Rob Dyrdek, from MTV’s Fantasy Factory, pulled out a kick-flip (which is essentially a roll over in the air before landing safely back on its wheels) in it! “The Sonic’s power and sportiness make it the perfect vehicle for this awesome stunt.” says Dyrdek. Now the 2012 Chevy Sonic has been given the distinct honor of a 5-star safety rating by the National Highway Traffic Safety Administration (NHTSA). The Sonic garnered the overall 5-Star safety rating following evaluations in rollover resistance, and side/frontal crash, including the “pole test” in which the vehicle was driven into a poll or tree at 32 km/h. “We developed the Sonic to exceed customer expectations of subcompacts in terms of segment-leading safety features. From the largest vehicles in the lineup to the smallest, we are putting overall crash worthiness at the top of the list of must haves.” said Gay Kent, a GM executive for Vehicle Safety. 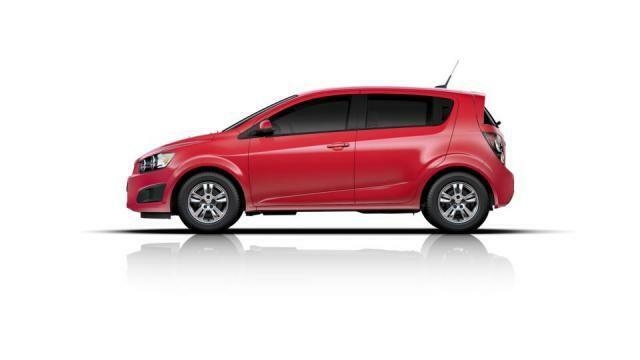 If you’re ready for a new kind of car with a healthy appetite for adventure while keeping you and your passengers safe, stop by Bob Bell Chevrolet of Bel Air… we have the new Chevrolet Sonic!